Wissy's blogspot: Wordless Wednesday ~ "A river runs through it". This is so lovely! Is that there near you live? Thank you all for taking the time to leave a comment. It is so nice to know that people are looking at my blog. Emm. 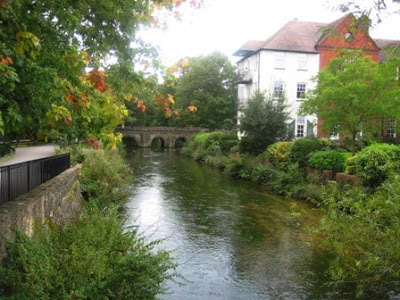 This photograph was taken in the heart of Salisbury in Wiltshire. My eldest son has just moved there. It looks just stunning there - another reason to visit! England really has beautifull spots! !